Andy Thomas is one of the UK’s best-known authors and lecturers on unexplained mysteries and global cover-ups, and is author of the acclaimed books The Truth Agenda and Conspiracies. 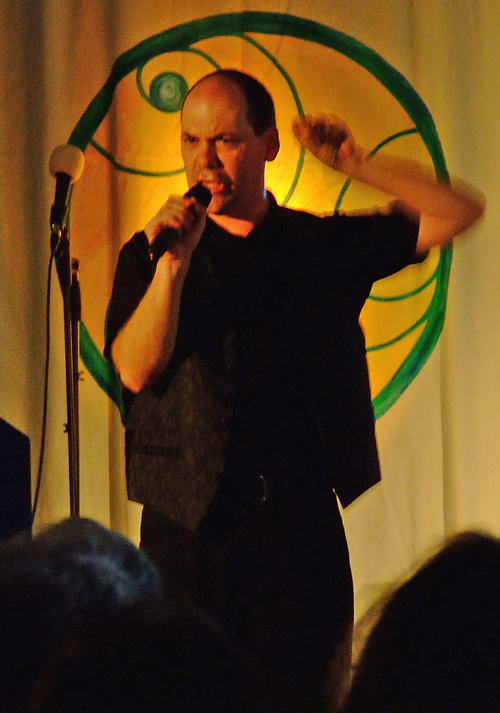 He also lectures on history and British folklore and speaks extensively in Britain and around the world at both ‘alternative’ and mainstream events. His books have been widely praised as the finest available overviews of their subjects. For nearly three decades Andy has investigated many enduring enigmas, including crop circles, UFOs and other paranormal subjects, together with a multitude of classic conspiracy theories, always finding tantalising middle-ground to evoke animated discussion. He also speaks passionately on history, freedom and liberty issues. Andy has appeared on many popular radio and TV shows including major UK spots on The One Show, Richard and Judy, Esther, GMTV and Sky TV’s hit series Pineapple Dance Studios, and on US shows such as Caught on Camera, with appearances on The History Channel and National Geographic Channel. He also featured in the US cinema-released documentary Crop Circles: Quest For Truth. Andy’s fullest investigation into the mystery realms, The Truth Agenda: Making Sense of Unexplained Mysteries, Global Cover-Ups and Visions for a New Era, was first published in 2009 and has seen several revised and updated editions since, including a US edition in 2015. The book has been a hit in both ‘fringe’ and mainstream circles, and was adopted as a sociology textbook at Canada’s Vancouver Island University. His book Conspiracies: The Facts – The Theories – The Evidence, now in its third printing, was published by Watkins Publishing in 2013 and has appeared in several global editions, including US, Chinese and Czech. Andy is author of seven other books exploring the unexplained, including Vital Signs: A Complete Guide to the Crop Circle Mystery, which has been described by many as the definitive guide to the circle controversy and was nominated for Kindred Spirit magazine’s 2002 Best Book award. His book An Introduction to Crop Circles is still in print a decade on from its first edition and has been a bestseller in many British tourist outlets. Andy is also author of four books on Sussex history and in 2017 produced the (currently) limited edition book Christmas – From Solstice to Santa: A Celebratory History. See Books for more information on Andy’s writings. 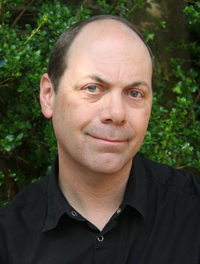 Andy has written for many journals and magazines, including Kindred Spirit and New Dawn, and he regularly contributes to the popular alternative journal Nexus Magazine. Andy is the founder of Vital Signs Publishing, which has produced Geoff Stray’s influential book Beyond 2012: Catastrophe or Ecstasy and Richard Smith’s A Future World Vision, both edited by Andy. 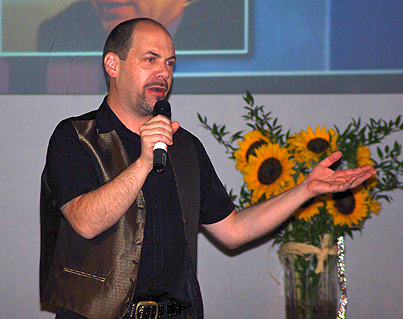 One of Britain’s most prolific lecturers, Andy is renowned for his striking and persuasive presentations on ‘mysteries and histories’ across the country, and has also presented in many other parts of the world, including America, Australia, Brazil, Peru, Denmark and several other European countries. Remarkably, Andy has given several thousand lectures over the years and has addressed a huge number of people in that time. See Events for dates of Andy’s forthcoming public presentations, and Lectures to see his available talks. Andy’s presentations have brought often marginalised subjects into public venues to great success, and he regularly addresses both alternative groups and also established organisations such as The National Trust, U3A, the Women’s Institute, Rotary, Round Table and Probus, to name but a few. 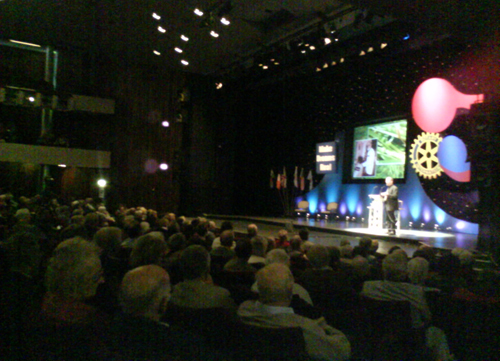 Andy speaks for audiences of all sizes, from intimate events to large conferences, including a number of appearances to 1500 people at Eastbourne’s prestigious Congress Theatre (see picture). 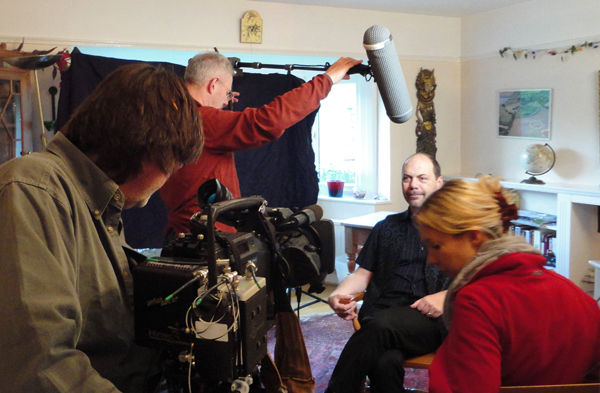 Andy is founder of the Changing Times truth and mysteries group in East Sussex and is also co-presenter of the celebrated Glastonbury Symposium, one of the UK’s longest-running alternative events. 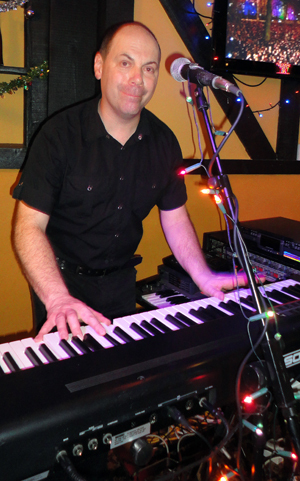 He is also an experienced keyboard player and still plays live with guitarist Phil Light after 33 years! Andy is married to the well-known psychological astrologer Helen Sewell. Andy’s always balanced and perceptive views on unusual subjects have become widely respected for giving credibility to areas not generally given the coverage they truly deserve. Explore the site to find out more about Andy and his work.